You are here: Home / Lifestyle / Empower Girls With The Madam President Game! Empower Girls With The Madam President Game! As a mother of a 13 year old girl that requested the book “Rad Women Worldwide” for Christmas, I can tell you that I believe in empowering our girls to dream big and live life to their fullest potential. It is important that girls receive the message that they are capable and that it is acceptable for them to go after their goals. 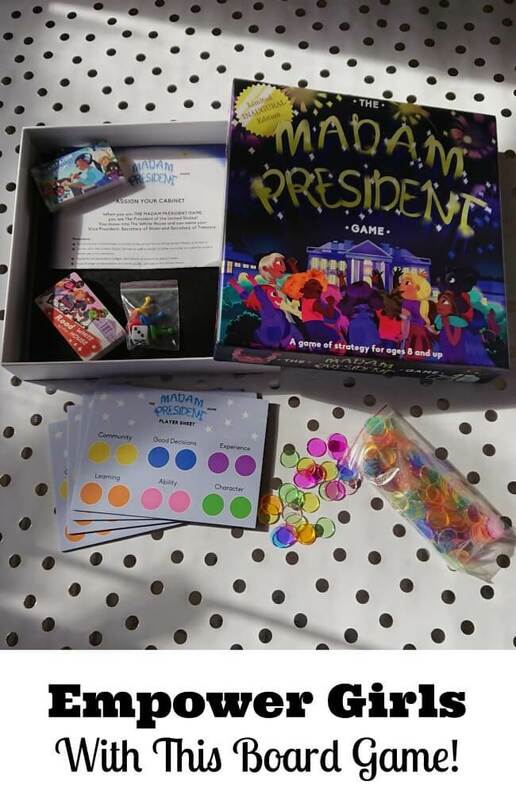 I am happy to partner with The Madam President Game because this fun new board game teaches about skills and experiences needed to become the President of the United States and empowers girls to picture themselves getting there! 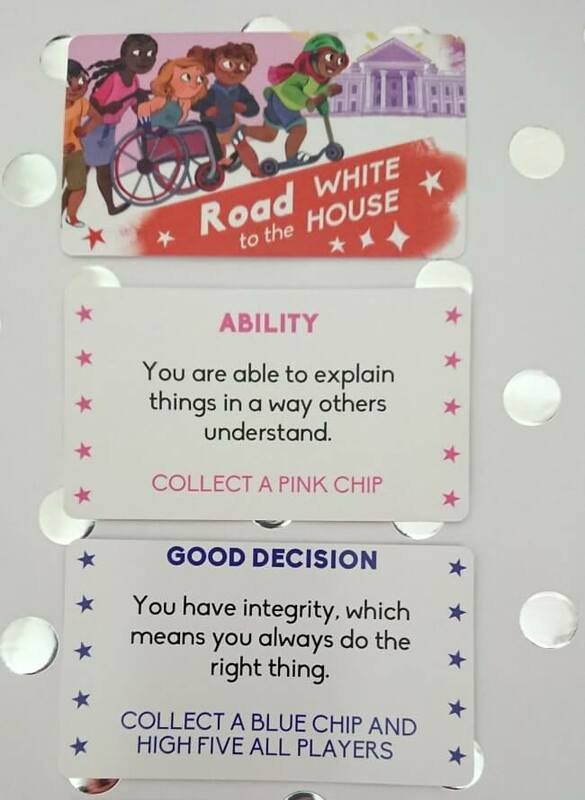 The Madam President Game is focused on teaching children, specifically girls, ages 8+ about leadership, community, working together, and the political process. I have a son and I daughter and I think it is equally valuable for them to play together because they can both learn about civics, leadership, and positive traits to help them in their goals while both learning that a girl can and should make it to the White House someday. Enter to win The Madame President Game here! 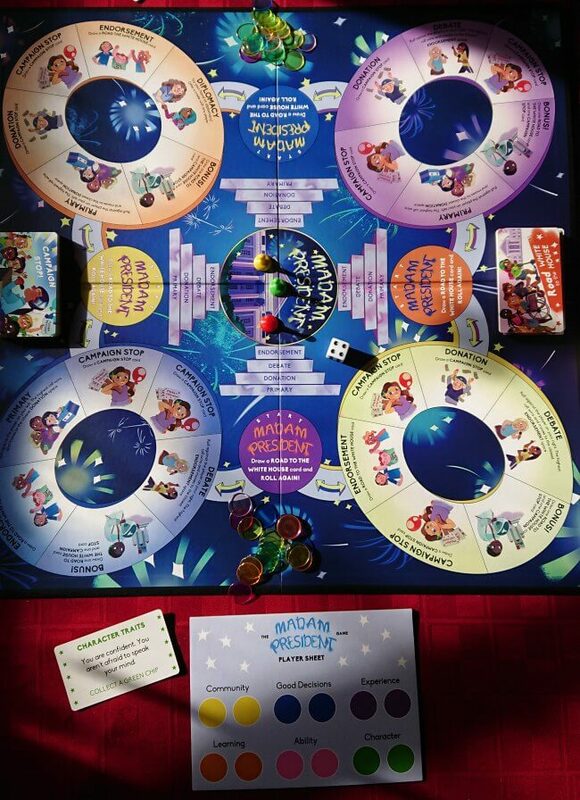 If you want to empower your girls with positive messages and a game that reinforces hard work and good character traits, then you will love the The Madam President Game. This board game places the emphasis on building community, good decisions, experience, and learning. It is geared toward specifically toward girls helping them learn about the path to becoming a female President of the United States. This game empowers girls by teaching them the qualities needed to be an effective politician and also several different components of actually running for President, such as debates and primaries; donations and endorsements; diplomacy and campaign stops. Object: Get to the White House and become President of the United States! Length of Play: About 30 minutes to an hour- perfect for a fast game anytime! I really liked how The Madam President Game used big words and provided the definitions at the same time so that kids can learn as they play. It also teaches examples of ways to build community and learn from experiences as the kids draw cards and progress through the game. My son is 11, my daughter is 13, and I am, well, old enough to vote, we all enjoyed it so it is fun for the whole family. While the The Madam President Game is competitive, it is also cooperative and seeks to educate girls on the importance of helping each other up. The games helps kids to value the skills and abilities necessary for a run for political office as well as expose them to many aspects of a political campaign. 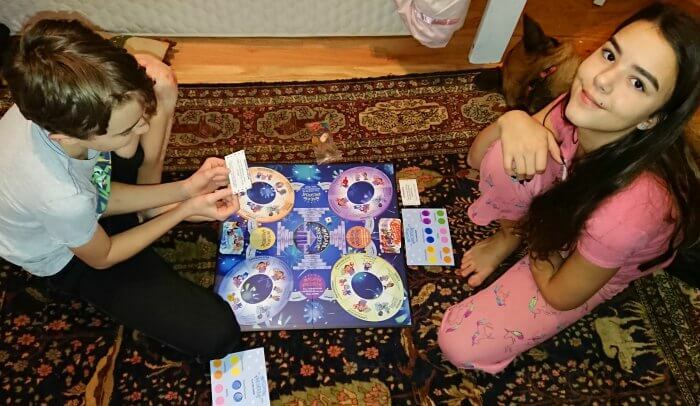 I played with my kids and I won so they got to see how a boss mom can become the first female president;) I think I will make me call them Madam President all week long, or least until someone else wins! Purchase the Limited Inaugural Edition of The Madam President Game here! Do you think you child would enjoy The Madam President Game? What are your favorite ways to empower girls?